Blackmagic Forum • View topic - Has anyone used a DC to DC buck converter? Has anyone used a DC to DC buck converter? I am looking at using a buck converter to convert and regulate 24 volts DC down to 12 volts DC. Apart from smoke and sparks, is there anything else I should be aware of? Last edited by Leon Benzakein on Thu Nov 01, 2018 1:43 pm, edited 4 times in total. 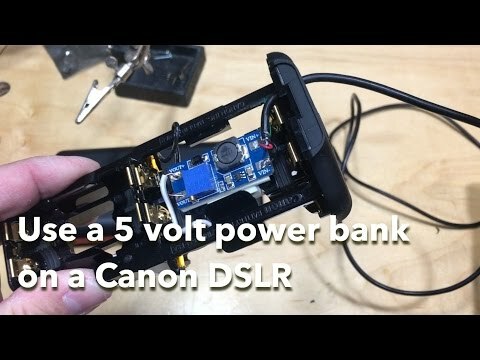 Re: Has anyone used a DC to DC buck converter? Heatsinking ( depends on current requirements ). My thinking behind the question. You can find lots on eBay. But you will need to have a heat sink and maybe a fan to help it, because you have a pretty big difference in input volts of 24 to output, and that is proportional to the heat that the system has to dissipate. So depending on your current, it could be quite a bit. That's why if you look at these two units, the 10Amp one has cooling fins, and the 5Amp one does not. "Car Converter 24V To 12V 5A 60W Step Down Module DC To DC Buck Module"
"DC-DC STEP-DOWN BUCK CONVERTER 24V 12V TO 6V 10A 60W TRUCK CAR W/PROOF HEATSINK"
But in fact the actual converter unit in both cases is the same. An even more dramatic example is this listing for various converters. If you look at how the cooling increases dramatically as the current increases, it shows the same story. "24V 12V 13.8V 5A 10A 20A 30A 40A 50A 60A 80A 100A DC DC Converter Buck Regulator"
Note: I originally used the URL option, but I got a warning message "Not allowed to post URL's". I've never seen a forum that blocks URL's.